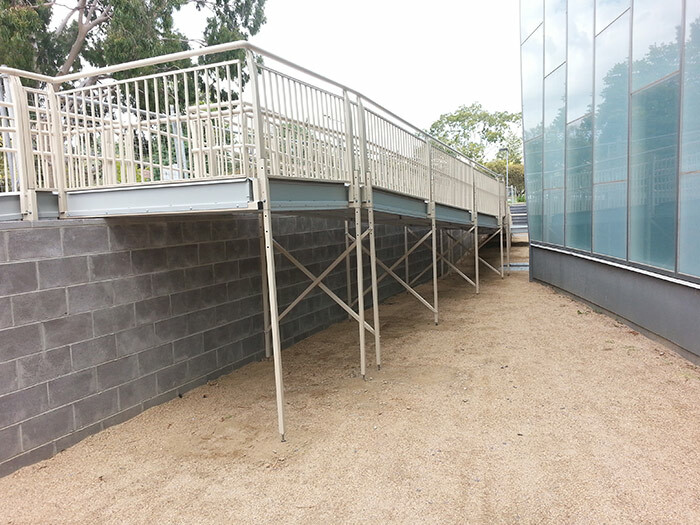 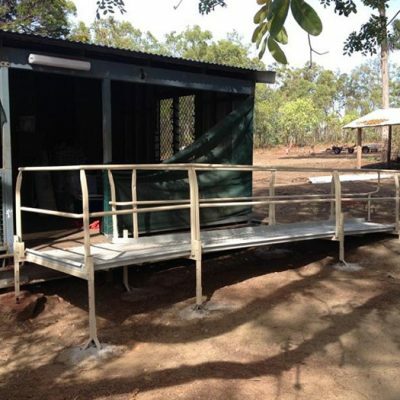 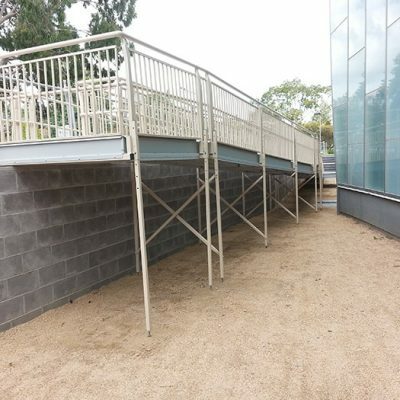 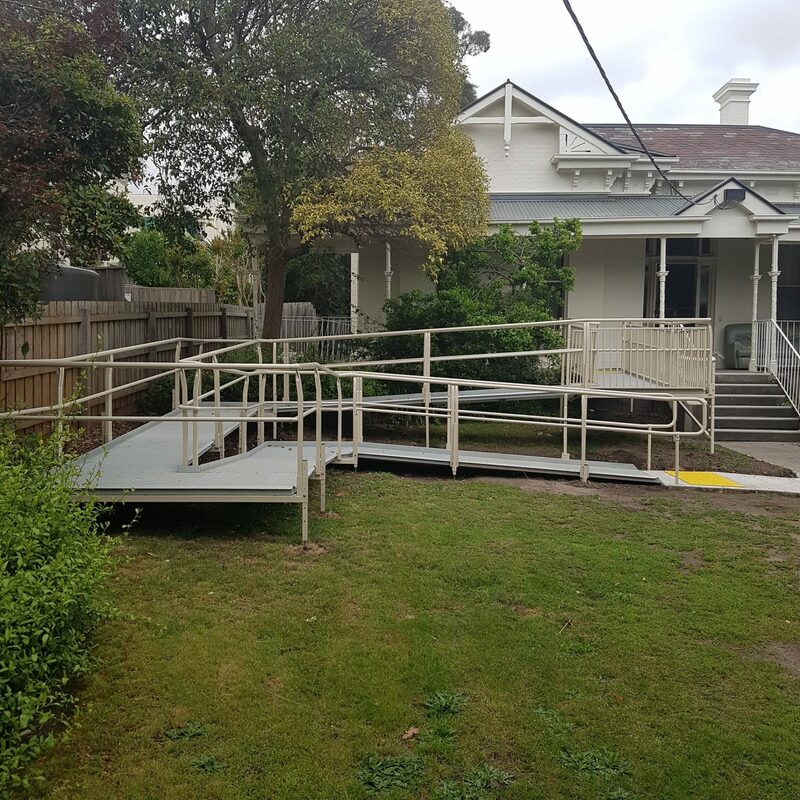 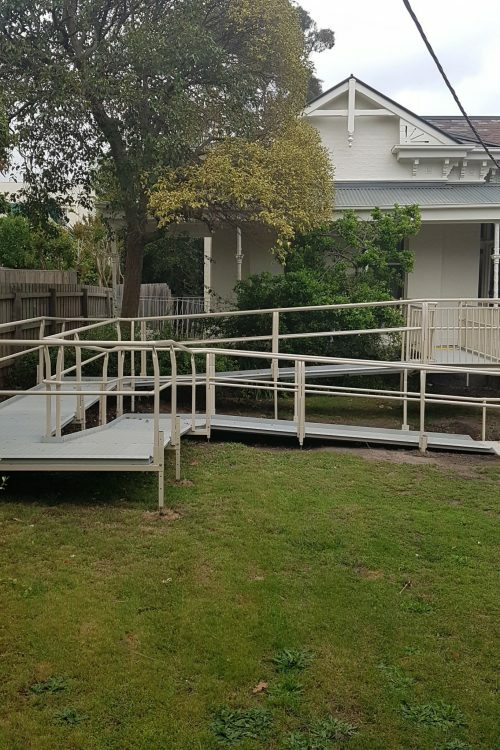 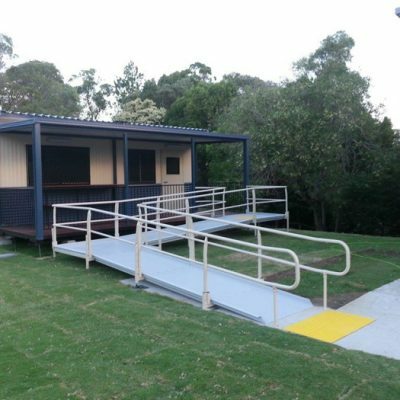 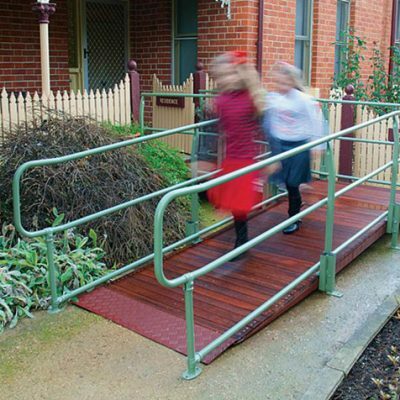 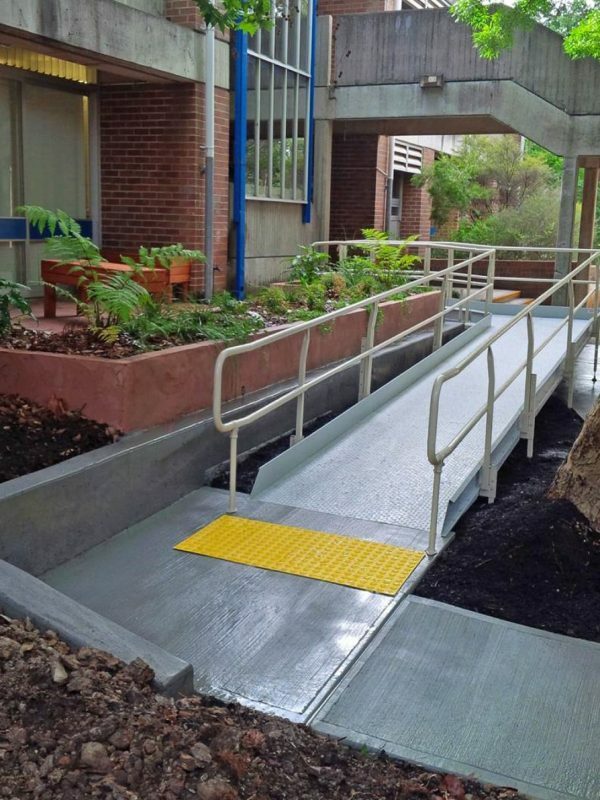 A unique and innovative approach to the design, engineering and delivery of ramp access systems. 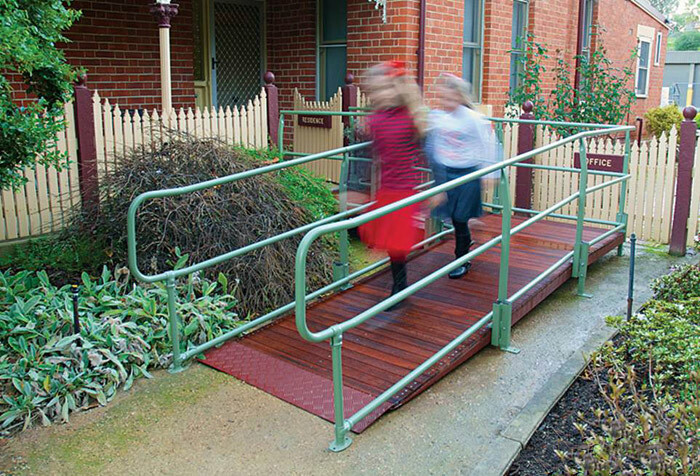 Adaptable ramps suited to a wide range of applications. 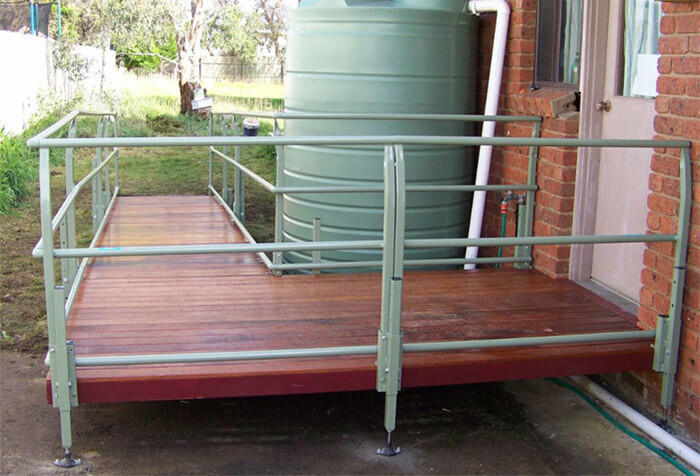 These prefabricated modularised systems come in three interchangable modules and are designed for a variety of domestic, commercial and industrial uses. 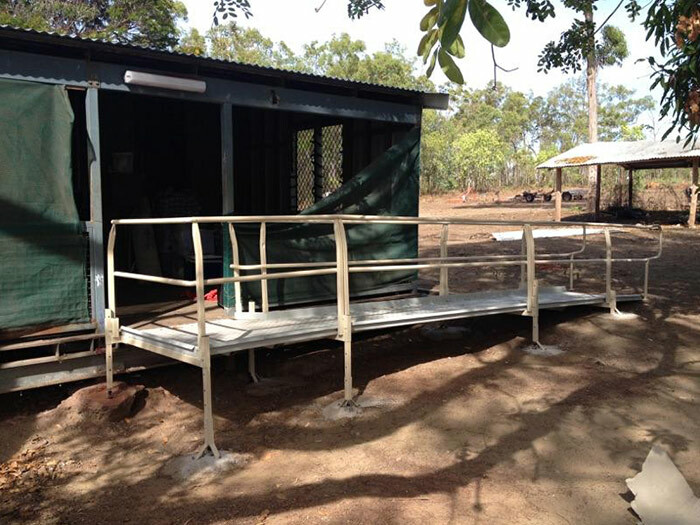 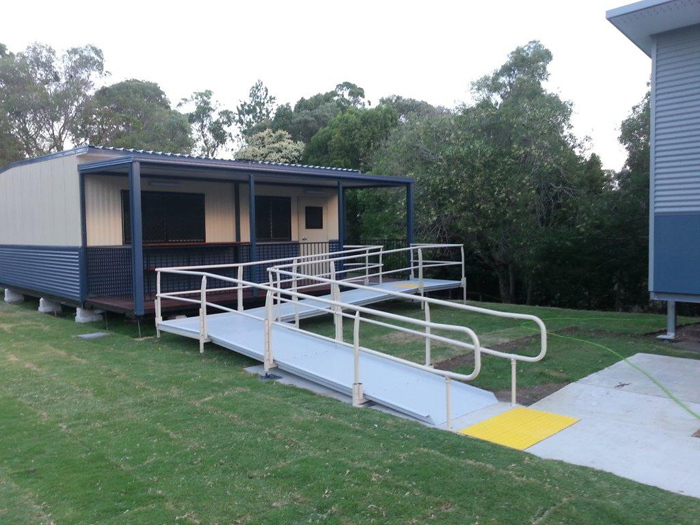 Our Modular Ramps can be optioned with timber. 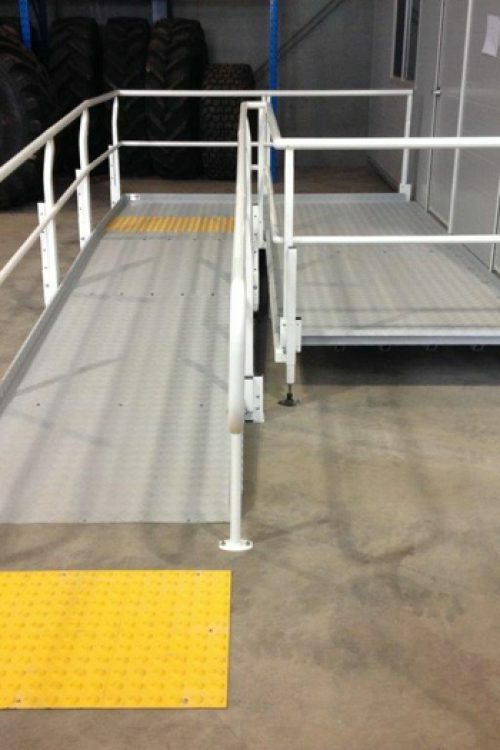 Our Modular Ramps are designed and engineered to provide our markets with an off-the-shelf Access solution which is totally compliant and provides the load ratings and longevity you expect. 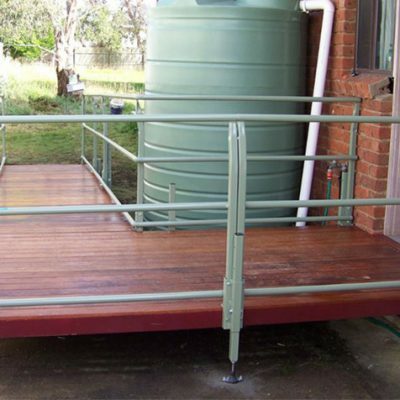  These systems are compliant to the strict regulatory framework and standards demanded by Australia’s BCA, AS and DDA. 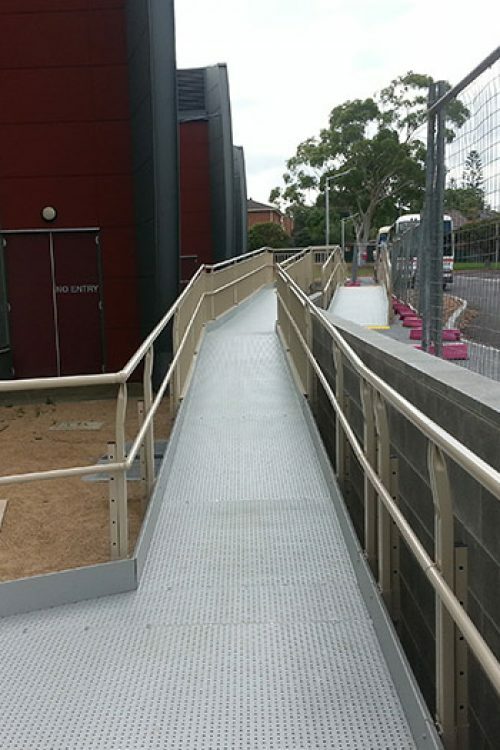 We provide a selection of finishes from Colorbond’s powdercoat range, delivering the superb slip-rating as well as improved aesthetics.